This character study looks at the nature of crime and forgiveness. After spending fifteen years in jail, a woman is released and comes to live with her sister's family. There is obviously some tension due to her presence, and as she tries to reintergrate into society, we get to know her. Details of why she went to prison emerge slowly, leaving the viewer with mixed emotions about how to react to the character further. In French with English subtitles. 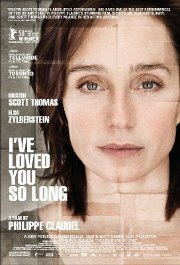 Also released this week: I've Loved You So LongChe: Part OneKurbaanZombielandSorority RowSoraya M.